Over 100 song lyrics across 8 albums. The music and stories of a decade. What made a straight A student on a clear path to public office want to become a rapper instead? What made him return to politics to run for Congress using hip hop? Who are the artists that influenced the champion of artists? Where do the ideas for his songs come from? What are they really about? David Carus takes you on a journey across his entire career of making music. Starting with his first major work, the spoken word poem Ivy League Gangsta performed at Georgetown University, to recording the classic Central Coast hip hop album East of Eden with his brother Cal Paradox, to the groundbreaking Politician Rapper recordings and his time in New York City creating A Bigger Game, up to his later work with composer/producer EtherGun and forming the X-Ray Poetz, David Carus tells the stories behind it all. 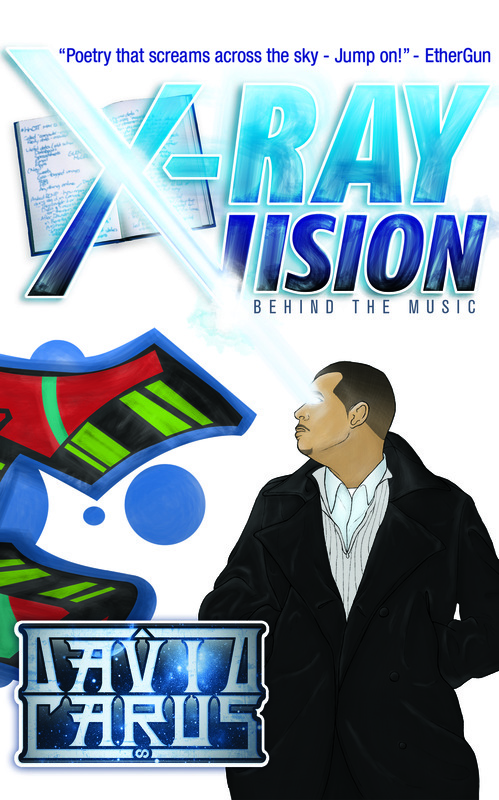 X-Ray Vision - Behind The Music presents the ideas of one of the most daring, intelligent songwriters of our time. Whether you are a long-time fan or have never heard of David Carus, this book delivers unforgettable stories that piece together a picture of creativity like no other.